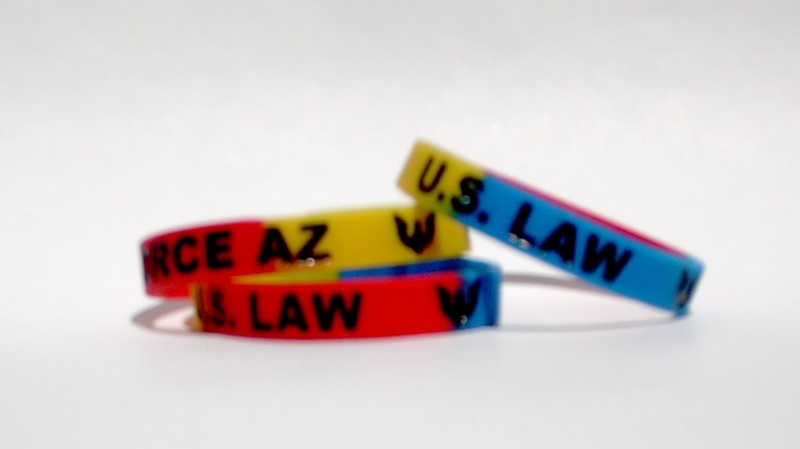 Order Your Enforce AZ / U.S. Immigration Law Wristbands Here! | Enforce Immigration Laws! ← Sheriff Joe Arpaio Sued by Feds! This entry was posted in Arizona, Enforce Law Wristbands!, SB 1070 and tagged arizona, arizona illegal immigration, arizona immigration bracelet, arizona immigration law, arizona immigration wristband, enforceazlaw.com, illegal immigration, immigration bracelet, immigration bracelets, immigration wristbands, immigraton, Order wristbands, stand for law enforcement, stand with arizona, support arizona, wristband. Bookmark the permalink.